The Global South. It’s a term used to refer to the developing countries that mostly lie in the southern hemisphere. This story is about a three year motorcycle journey through Latin America and Africa heading towards India with a desire to raise awareness about sustainability and eudaimonia, the search for things that are true, good and beautiful. After spending the first two decades of my life growing up in Africa and being schooled in India, I spent the last decade in the US specializing in university and subsequently working in corporate product design engineering. It’s been a blast and I’ve been very thankful for the life I’ve had so far, making a plentitude of meaningful connections and having had numerous lifetime experiences. However, curiosity, that great driving primal force of all life, responsible for where I am today, has been exposed to the grand scheme of things and is gnawing inside of me to grab at the opportunity that lies within my potential to gain a far deeper understanding of life on this planet. If that was my only goal of this journey then perhaps I should simply travel directly to the places where I expect to learn the most about how humans and the rest of nature interact and how best we can sustainably develop civilization and co-habit peacefully with nature. But in my short travels so far I have learnt that the most meaningful experiences are the ones you don’t plan for; giving up control to the journey and letting experiences materialize. The road through a barren landscape could be a revelation of ideas or a synthesis of understanding. 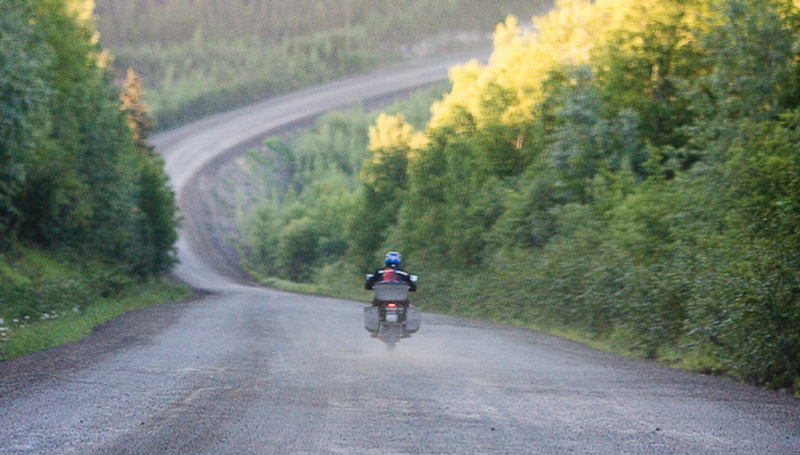 It is with this in mind that overland motorcycle travel appears best suited for such a journey. Every opportunity has a cost and I’ve been trying to conduct the most thorough cost-benefit analysis of a long duration motorcycle trip through a majority of the world’s developing countries. Benefits come easily to the mind, with the right side of the brain trying to visualize all the wonderful sights of unseen lands, all the tasteful treats from roadside shacks and all the warm people that are the one homo-sapiens. And the left brain pondering over how useful and relevant these experiences will be in shaping my life from here on out and positively enriching my productivity in future endeavours. However, the left brain can’t ignore the looming elephant in the room, regarding security to my well-being, which I will mitigate to the best of my ability. Besides the obvious costs regarding finances and career paths, the one regarding longevity and safety has caused the biggest lump in my throat. Voluntarily giving up my comfortable life in the US and hoping for the best at the other side of the journey was not hard to decide on as I’m confident in my abilities to earn an income when that time comes again. 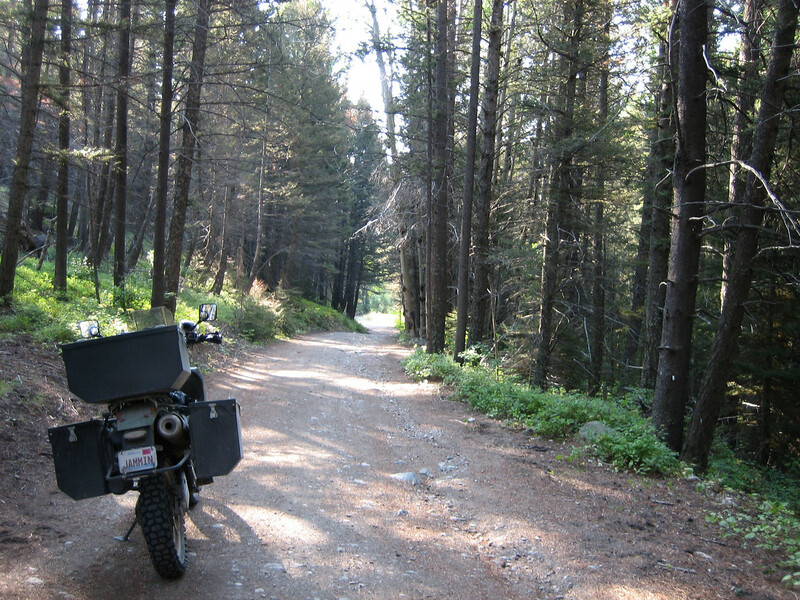 This journey that begins in March 2010 had seeds planted about four years ago, when I first caught wind of the possibility of riding around the world on a motorcycle from advrider.com, a global adventure motorcycling forum that has been a source of inspiration along with copious amounts of information. Subsequently, I toured around the US on my Suzuki GSX-R600 learning from veteran motorcycle travelers and coming into my own, belonging on the road. I then acquired a Suzuki DR650, a more appropriate motorcycle for unknown road conditions and tested the waters with a short trip around Mexico in 2007. The success of that trip convinced me that going further south would be very feasible and highly enjoyable. Since then, the planning has been solidifying up to this point. In between, I made a trip up to Alaska in 2008 and one down the Continental Divide in 2009. I tested various gear and configurations to see what would work best for this upcoming journey. I also evaluated my attitude in various situations, such as mechanical breakdowns and minor accidents. Seeing that I survived those with no long term effects, I am confident that I’ll be able to get through situations that will no doubt arise on the journey ahead. I have been looking forward to and dreaming of commencing this journey for the past four years. I have a feeling it’s going to be good and I’m as prepared as I’ll ever be. This is very exciting Jay!!!! I can’t wait to hear all the stories and follow along on your adventure. Lots of luck with the final preparations. Wow Jay, sounds like a great path ahead for you, I wish you all the best! Being an Indian Citizen, and a business traveller myself, I frequently have trouble with acquiring visas for other countries (especially those that require exact dates of arrival and departure or those countries who will not grant a visa valid for more than 3 months or a year after the date of issue). Just curious how you were going to handle that? @Tara: Thanks. Yeah, already done a couple all-nighters trying to get everything setup on the bike. Im getting there. how do you handle your expenses? got any sponsors? Well done dude! Really admire your travels and envy the great experience you’re having. Only few people can such stuff during their lifetime. Hey !! Awesome ….33 countries….3 yrs on road..Superb!!!! Hats off to u for taking such a decision and giving up ur comfortable life….All the best for many such trips!! Yup, lots of hard work and logistics to organize to make this kind of trip happen. You can get this customs passport for the bike called a carnet and that makes crossing borders easy and yeah, have to stay up to date on my license plate registration!